Dimensions: 16" x 15.1" x 35.9"
California Air Tools has introduced a modern and improved 10020C Air Compressor. In this model, the company has taken into account the shortcomings of the previous one and added completely new features. And no wonder, it's become so popular with customers. The company constantly aims at the improvement of their products that's why its name always stands for comfort and efficiency. Due to all of this, the California Air Tools 10020C Ultra-Quiet Air Compressor completely reflects the company idea. And indeed, this compressor is one of the best on the market. First of all, talking about this super silent compressor from California Air Tools it's impossible to say nothing about its motor. It creates noise of only 70 dB which is a bit louder than two people create during their conversation. Without a doubt, a user will notice the difference between the California Air Tools compressor and the ordinary one that usually produces a noise of 90dB. 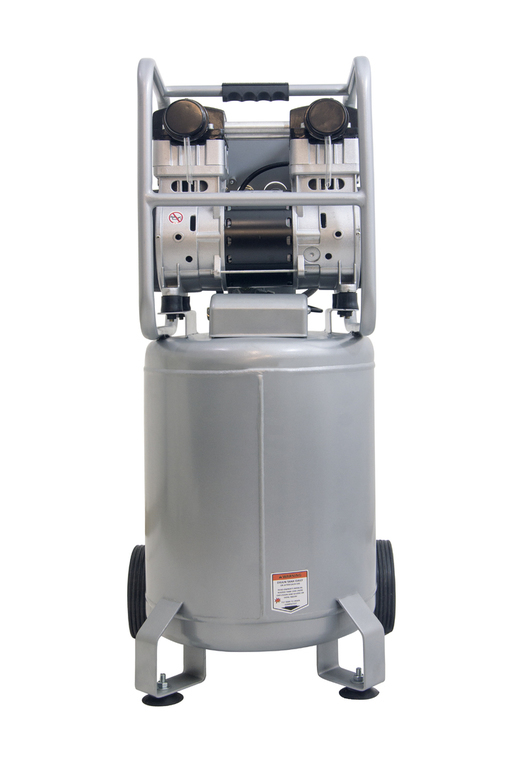 Furthermore, its motor delivers 5.3 CFM air at 90 PSI, which is unusually high for this kind of air compressors. In addition to this, it has two 1/4” universal quick connectors. Its oil-free pump has a life cycle of 3,000 hours that is six times longer than that of a usual air compressor. For more reliability, this air compressor with the tank has a pressure switch. And its air tank requires only 2 minutes to fill up with air. Moreover, thanks to its comfortable handle this air compressor is quite easy to carry and transport. 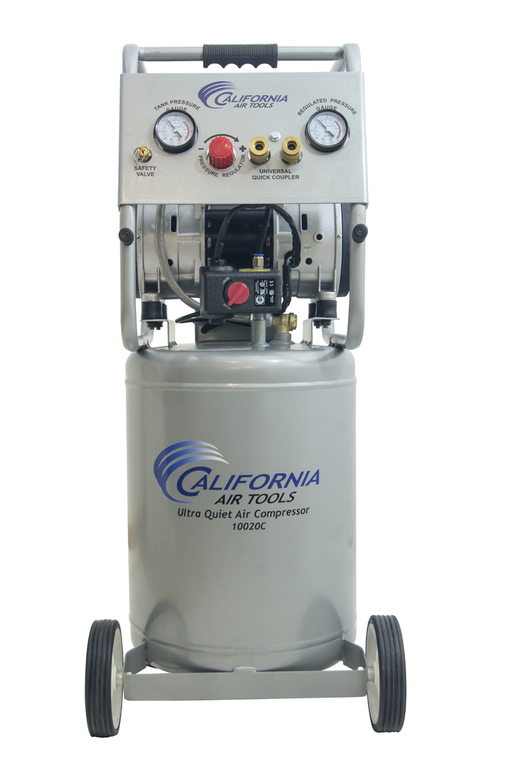 The California Air Tools 10020C Compressor is one of the most silent air compressors to find on the market. And this is what makes it unique among others. Also, this compressor stands out due to its long life cycle. This super silent air compressor will serve much longer than others before a user needs to have it repaired. Finally, the CAT 10020C compressor will perfectly fit any workplace, workshop, garage, or a garden. And to top it off, if any problems appear, you can always apply for help from the manufacturer. 35.9" x 16" x 15.1"